Home Directs Do you know the source of your coat's down feathers? Do you know the source of your coat's down feathers? Temperatures are dropping! You are putting on your boots, mittens, hat, and scarf, and lastly your warmest item of all: that down coat you have wanted for years. This coat is surprising light and easy to tote around, but also extremely warm during the blistering winter months. But have you stopped to think about where this coat comes from? No, I don’t mean thinking about how you got the coat as a Christmas present from your mother-in-law or that you purchased it at a store in your local mall. I am talking about really discerning where the down feathers came from. Now, think about the brand of your coat and which store it came from. If you bought a North Face coat you can embrace the cold with a smile on your face, knowing that North Face is certified under the Responsible Down Standard (RDS). But what about if you have a different brand? Don’t’ start panicking yet. There may still be hope for you. Did you buy your coat from H&M? If so, you can breathe a sigh of relief too. H&M has now become only the second company after North Face to meet its target of providing 100% ethically sourced down products. 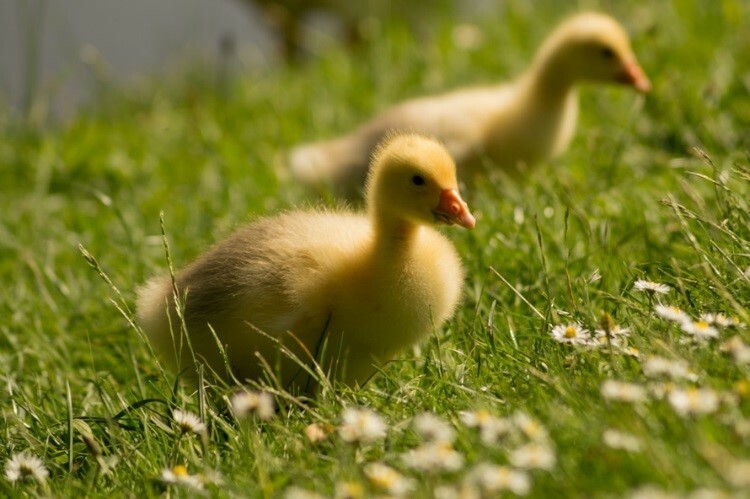 By being a part of the Responsible Down Standard (RDS) these companies have pushed for improved animal welfare in the industry and sought to protect the welfare of birds that source the down products. The North Face created the Responsible Down Standard (RDS) in partnership with the Textile Exchange, a global nonprofit dedicated to sustainability in the apparel and textile industry, and Control Union Certifications, a third-party certification body with expertise in agriculture and farm systems. The RDS ensures that animals are not subjected to force-feeding or live-plucking. As more and more companies are striving to become more socially responsible, they are investing time and money into sustainability and humane animal treatment initiatives. Not only are companies interested in social responsibility, but with animal rights organizations from the Humane Society to PETS, highlighting what is going in the products you eat and the fashion you wear. Buyers are also challenging companies’ supply chains and choosing to only invest their money into socially responsible products. While H&M and North Face may be the only two companies to sell 100% ethically sourced down products, more than 40 brands from the outdoor, apparel, and home industries have initiated certification of their supply chains to the RDS. Some of these well-known brands include Adidas, Timberland, Eddie Bauer, and Mammut. So what does this mean for the industry as a whole? Well, even though the Responsible Down Standard is completely voluntary and there is no legislation requiring companies to certify their products, and as more and more companies are pledging to certify their products, it will push other companies to do so. This will then translate into more humane sourcing as well. If companies choose to be RDS certified, then they must work with suppliers who abide by the standard, meaning, force-feeding is prohibited, live-plucking is prohibited, birds must be properly watered and fed, proper environments must be maintained, birds must be kept in good health, proper handling must be conducted, and traceability is mandatory. Companies who become RDS certified agree to submit to an annual audit, plus a number of unannounced audits that could take place throughout the year. Social responsibility is becoming a concern for both customers and businesses. North Face and H&M have already taken the leap to sourcing 100% ethical down products, and I foresee the trend continuing. So, when putting on your down coat from H&M or North Face to brace the cold, you can rest easy knowing that it meets the Responsible Down Standard. But, buyers beware, if you are wearing any down products from other companies who do not yet have 100% ethically sourced down products, you may want to take a minute to think about your web-footed friends. Welcome to 2016 in Sourcing.